Three years in development, more then a dozen prototypes and countless hours testing and retesting. The Ovo 150GT is the culmination of everything we have learned about producing steam in a portable and compact form. We are so excited to be introducing this garment care and fabric care marvel to our customers. Meet the mini multitasker. It’s an iron. It’s a steamer. It’s both! But don’t be fooled by its charm. 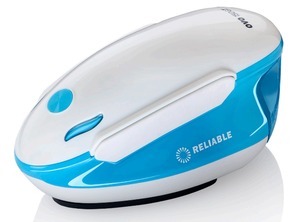 This portable powerhouse travels light and takes out wrinkles without taking up space. 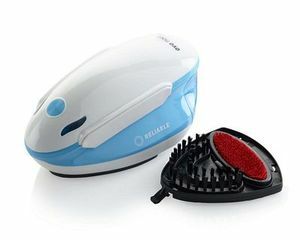 Compact iron and steamer with patent pending heating technology. 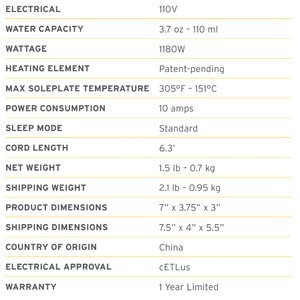 1 year limited warranty through the vendor. Click Here to See Reliable's Product Booklet on the 150GT! 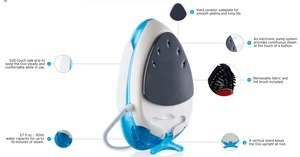 Reliable 150GT Compact Ovo Garment Steamer and Steam Iron 2 in 1. Steam Brush and Lint Pick Up tools.